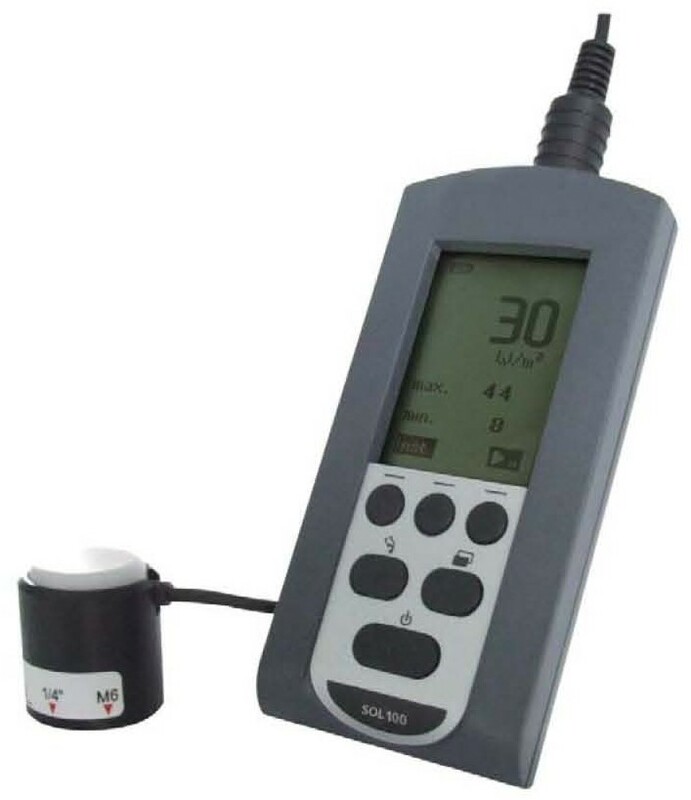 A handheld autonomous solar power meter for on site measurement and monitoring of photovoltaic installations, optimum orientation of solar panels, and performance follow-up. A portable autonomous solar energy meter that offers all the characteristics of SOL100, plus logging capability. Measurement and prompt control of solar power (W/m²). Calculation of the accumulated energy in Wh/m². Storing and recording of the averages values. Solar power measurement range: 1W/m² to 1300 W/m². Accumulated energy measurement range: 1 Wh/m² to 500 kwh/m². Display of result in graph form allowing a fast interpretation of recorded data. Solar cell cable length: 5m. Supplied with PC transfer software & calibration certificate. Evaluation of the electrical energy produced for optimum orientation of solar panels and performance follow-up. Analysis of sunshine on site, for short and long-term period. Reading and graph approximation of 24 hours data via transfer data software.